The doors of opportunity are about to close on a six-week international Expressions of Interest campaign to sell Fitzroy Island Resort on the Great Barrier Reef, with the deadline on October 27. Exclusive agents Resort Brokers Australia say the tropical island resort has strong appeal because it is delivering immediate returns plus it offers significant scope for development. “Very rarely do properties like this come to the market fully operational, delivering a strong income from day one, but also with so much further development potential,” said Resort Brokers’ national sales manager, Trudy Crooks. Resort Brokers is selling the Fitzroy Island Resort tourism business, perpetual leasehold and associated development opportunities for a Darwin-based property development group headed by Doug Gamble. The resort, the only one on the 339-hectare National Park island, covers 4.312 hectares with a 440-metre beach frontage to Welcome Bay, 30 kilometres south-east of Cairns, within the Great Barrier Reef Marine Park. Offered for the first time since opening in 2011, it includes a 102-room 4.5-star resort hotel, multiple food and beverage outlets, conference and wedding venues, leisure facilities, dive shop (leased to an outside operator), general store and mooring facilities. Also part of the sale is a 190-seat high-speed catamaran ferry service, the ‘Fitzroy Flyer’, operating three services daily (45 minutes to the island) and packaged day tours from Cairns. “Not only is this near new property already generating a steady and growing income, projected to exceed $2.7 million in FY17, it comes with outstanding growth opportunities and genuine barriers to entry from outside competition,” Ms Crooks said. Fitzroy Island Resort is selling with development approvals and plans for future stages, including up to 75 more rooms, and extensive infrastructure including a water supply spring, dam and pipeline on title, sewerage treatment and power plants, and staff accommodation. Doug Gamble’s Fitzroy Island Investments also holds a 20-year lease over the adjacent 2ha Cairns Regional Council Campgrounds and is in the early stages of developing that property. “Further opportunities lie in interim options and agreements held for additional projects including a helipad and unique accommodation in the island’s historic lighthouse precinct,” Ms Crooks said. “The resort, together with the campgrounds and adjacent properties, constitute all available commercial land on Fitzroy Island, and it is all controlled by the vendor. Fitzroy Island, dominated by pristine tropical rainforest and surrounded by fringing reefs and crystal clear waters, is a paradise for snorkeling, diving, glass bottom boat tours, kayaking, stand-up paddleboarding, and walking to explore its natural and historic attractions. Figures from Tourism Tropical North Qld (TTNQ) point to recent record growth for the region. Domestic visitors grew 33.5 per cent to 2.2 million with a 35 per cent rise in expenditure to $2.4 billion for the year ended March 2016. Domestic visitor nights rose 19% to 10.5 million. International visitor expenditure was $1.1 billion, an increase of 13 per cent, and total international visitor numbers grew 11 per cent to 830,000. 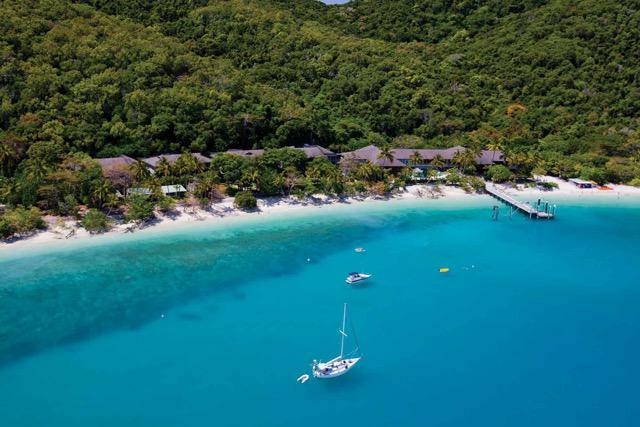 Fitzroy Island Resort enters the market on the back of heightened investment interest in the Great Barrier Reef, hot on the heels of the recent sale of the South Molle Island resort in the Whitsundays to Shanghai-based China Capital Investment Group. 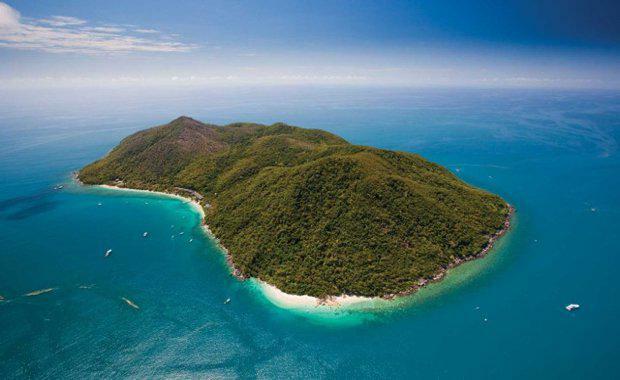 CCIG had earlier bought the nearby Daydream Island resort, where it is undertaking a major redevelopment, while another major Chinese company, White Horse Group, bought Lindeman Island in late 2012. “We’re seeing a new wave of investor interest including the redevelopment of Hayman, planned expansion of Hamilton, and redevelopments on Daydream, Lindeman and Brampton islands,” Ms Crooks said.